you can live the life you want to live! Come visit us in our new home (corner of Mosley and Sunnidale). ​We offer a full range of services including chiropractic, acupuncture, registered massage therapy, custom foot orthotics, nutritional consulting, reflexology, low intensity laser therapy and running clinics. ​Our parking lot is accessed at the back of our building. From Sunnidale Road turn onto Sunnidale River Road and then into our parking lot. WSIB & Motor Vehicle Accident cases accepted. Services are covered by most Extended Health Care Plans. Senior and Student Rates are available. Dr. Sarah Adams is rightly proud to have won the 2013 Ontario Chiropractic Association's Community Relations Award. This award recognizes a chiropractor who goes above and beyond to engage and help in their community. Cindy is the Office Manager and is an integral member of Beach Chiropractic's team. She is always willing to go the extra mile for our patients and her colleagues. Cindy is well known in the office for her warmth, enthusiasm and exceptional customer service skills. She is very proud of our new building; she assisted her husband Rob Cipollone, our contractor, in the design and planning of the building. Jennifer has worked in a variety of organizations and disciplines including the law field and social work before joining the Beach Chiropractic Team in 2014. This varied and eclectic work experience makes Jennifer a very valuable member of our team. Her bubbly personality is apparent from the moment she greets you and she is always happy to help our clients in any way she can. Jennifer is our Billing Specialist and is enthusiastic to help with your Extended Health. MVA or WSIB questions. Sheila has been a part of our team initially full and now part time. Sheila's focus is customer service and she is always willing to assist patient and her co-workers. She is also an active volunteer in and around the Wasaga Beach community, she has been volunteering at The Collingwood G&M Hospital for over 20 years. 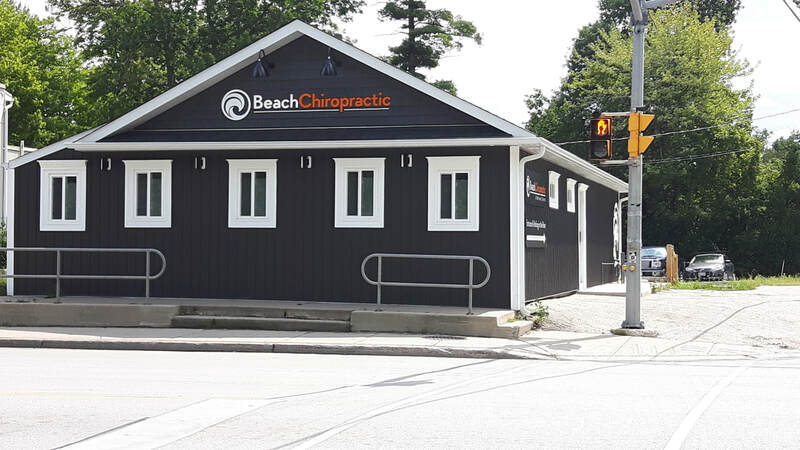 Teresa joined the Beach Chiropractic team in 2017. She has over 10 years experience working in chiropractic and wellness centres. Her caring personality and willingness to help others is a great asset to the clinic. She loves spending time with her dogs and is a volunteer at the Georgian Triangle Humane Society. Franca ~ is the newest member of the reception team to join Beach Chiropractic. Having just moved to the Beach, Franca brings with her many years of customer service experience. You will see Franca behind the desk with a smile and a helping hand.